The hottest rumor out today is that Nicki Minaj has served Safaree Samuels with divorce documents. There have been rumors for the last few years that the former couple were secretly married but that has never been confirmed and Nicki Minaj has always maintained that she is a single woman while she was dating Safaree for 12 years. 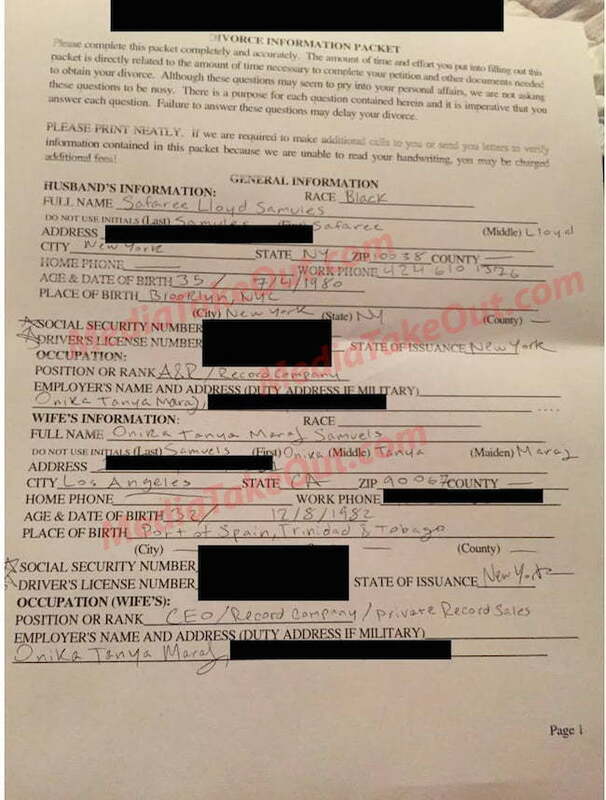 On Monday, MediaTakeOut published a photo of an alleged divorce document that the PinkPrint rapper sent to her ex-boyfriend address in New York. We don’t know how authentic the doc is but sources close to the “Love The Most” rapper says that they were secretly married for years. 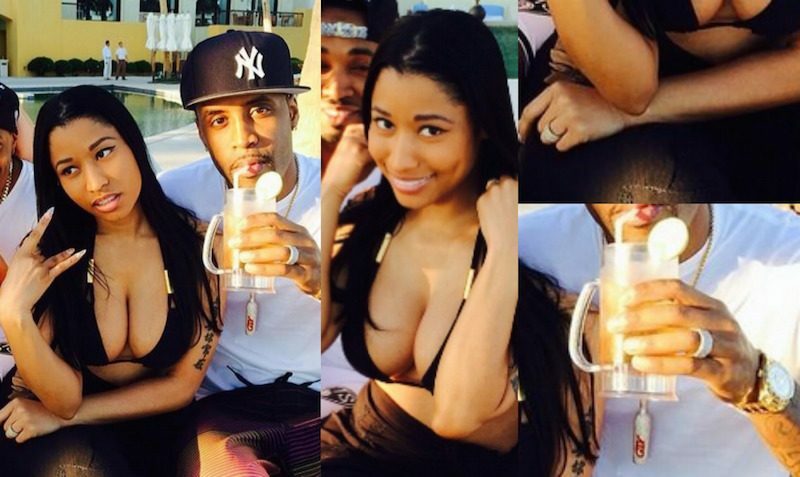 Nicki Minaj and Safaree Samuels split last year after being together for 12 years. There relationship has always been a secret up until their split with the Young Money rap diva telling everyone that she is a single woman. Last week, Safaree released a diss song “Lifeline” aimed at Nicki and her new boyfriend Meek Mill where he revealed that he wrote raps for her on her new album The PinkPrint. Perhaps that was enough reason for Nicki Minaj to pull the trigger and hit him with divorce papers. If this is true then he isn’t “Jamaican born”.